It’s award season in Hollywood, and that means from the Grammys to the Oscars the best of the best are out to impress. We caught up with our red carpet host Hunter Gaylor about his go-to suits and tuxedos for our red carpet events. Immediately the name Ton Chookare came up, from Chookare and Sons. 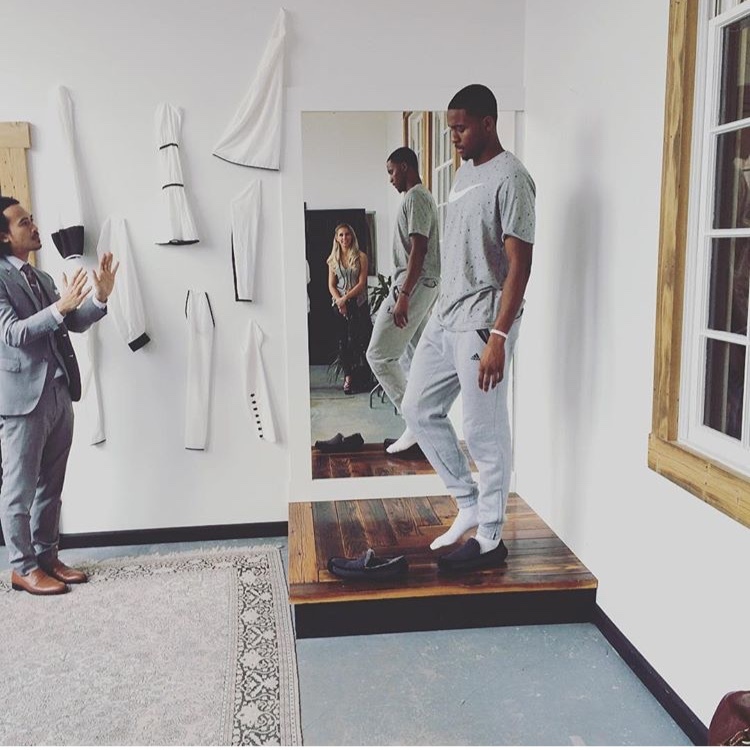 The firm has dressed numerous celebrities and high profile athletes such as Jeremy Lin and Maurice Harkless. Maurice Harkless – Portland Trailblazers. We sat down with the custom suit maker and asked what it was like to dress such high profile people and act as their fashion consultant. Ton shared with us that he “believes fashion is a projection of who you are, and expressing your singular personality isn’t possible wearing mass-produced clothing”. Everyone has a story to tell. Chookare and Sons world-class stylists are proud to play a part in that story, to support you on your journey of self-expression through fashion. They build a connection with you, helping you to make clear style choices, reflecting who you are and what you want to present to the world. Their tailors handcraft custom suits, tuxedos, shirts, and shoes unique to an individuals body, fit, and style. Custom fashion is about more than choosing a color preference or a perfect fit – it’s about choosing the right statement to make to the world. TrueHollywoodTalk couldn’t agree more, as we descend upon the red carpet this award season.